Back in black. The biggest football boot of the year has been given a brand-new makeover already, as the ‘Born’ Mercurial shows off a stunning reversal of the original colourway. It seems as though black is the new orange this week. The Nike ‘Born’ Mercurial has taken the world by storm ever since its release just a couple of weeks ago, with some of the biggest players on the planet wasting no time at all in showing them off. The likes of Eden Hazard, Neymar and Alexis Sanchez have already worn them in their respective Champions League ties, while that unmistakable dash of orange has been seen all over the top leagues in Europe this weekend. Of course, we’ve also been treated to a shed-load of adverts from the guys at Nike, which has really kicked the hype into overdrive. But for us fans, the insane excitement surrounding this football boot has come with one major problem: it sold out everywhere just so darn fast. The ‘Born’ Mercurial had been completely stripped from the shelves within just 24 hours of their release, leaving many fans stuck with their old football boots and dreaming of what might have been. Well, there’s no need to cry yourselves to sleep just yet, because Nike have just released a second wave of ‘Born’ Mercurial stock, and they’ve unleashed a brand-new colourway to go along with it. Introducing the black ‘Born’ Mercurial from Nike. This beauty acts as a complete reversal of the colourway shown off in the original design; this time with prominent shades of black and ‘Total Orange’ details. It all makes for a much gloomier, toned-down design which still manages to capture some of the vibrancy that has made the original so popular. 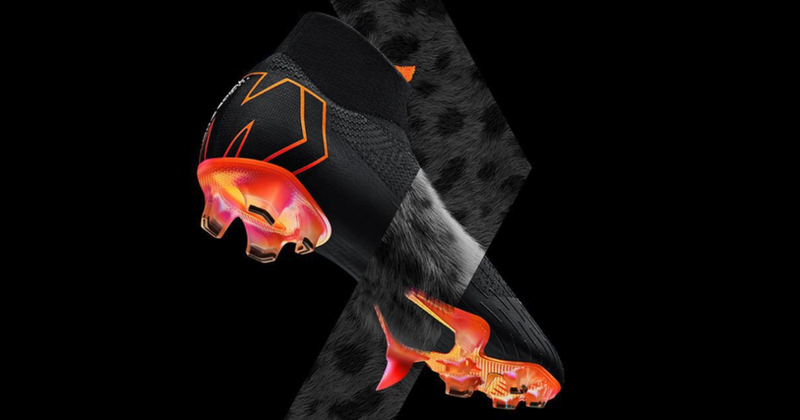 This darker theme ultimately creates a much smarter, less flamboyant football boot which is absolutely perfect for any players that want to take advantage of the innovative 360 construction, but without most of the flash. Not as bold or in-your-face as the original, we’ve got to say that we’re huge fans of this new colourway at FOOTY.COM. We might not see this particular design on the feet of Hazard, Neymar or Sanchez, but it will undoubtedly prove incredibly popular with more casual players as they clamour to get their hands on a pair. The new black design features exactly the same technology as the ‘Total Orange’ version, incorporating the innovative 360 construction, ribbed Flyknit upper and those claw-like studs that allow players to enhance their pace and agility. It’s another stunning pair of football boots from Nike, and the new design is released today (February 26th 2018) across all of the biggest online retailers. If you’re searching for the best deals, then go ahead and compare prices with FOOTY.COM today!